The AC Hotel Ambassadeur Antibes, operated by Marriott International, has opened for business. The 221-room property in Juan les Pins has twenty flexible meeting rooms that can accommodate up to 200 and is also close to a new convention centre scheduled to open in 2013, that will include space for up to 500 delegates. 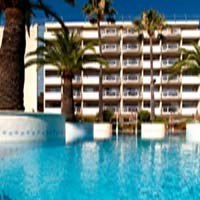 The hotel features both indoor and outdoor pools and also has a beach. In the South of France, Marriott also operates the JW Marriott Hotel Cannes, which re-opened this year following extensive renovations, and the Riviera Marriott Hotel La Porte de Monaco.